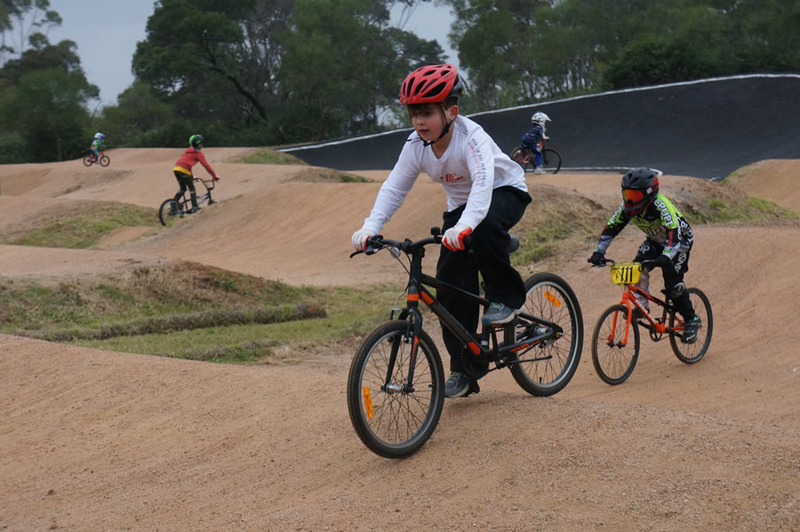 Thanks to everyone that turned out to our first Come and Try BMX Racing Day – the event was such a hit with the northern beaches community that we ran out of sign on forms and ran the BBQ dry. 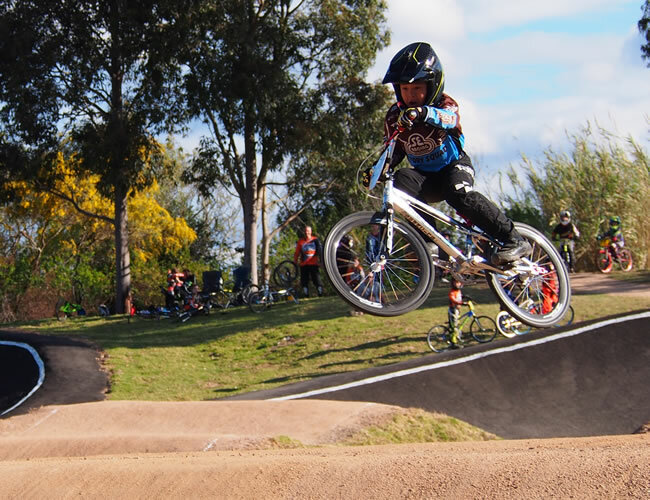 Everyone had a great time and our best guess is that over 100 future BMX stars turned up to join in the fun. Anyone interested in finding out more should check out our page for Join the Club. 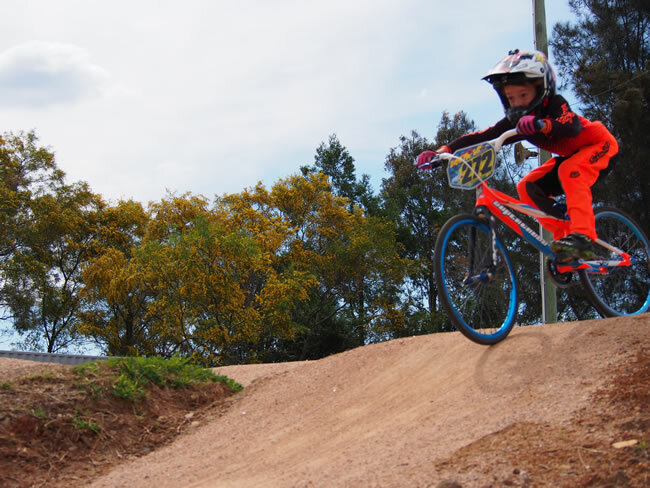 Manly Warringah BMX Club is hosting a FREE, Come & Try BMX Racing day at our track at Terrey Hills. 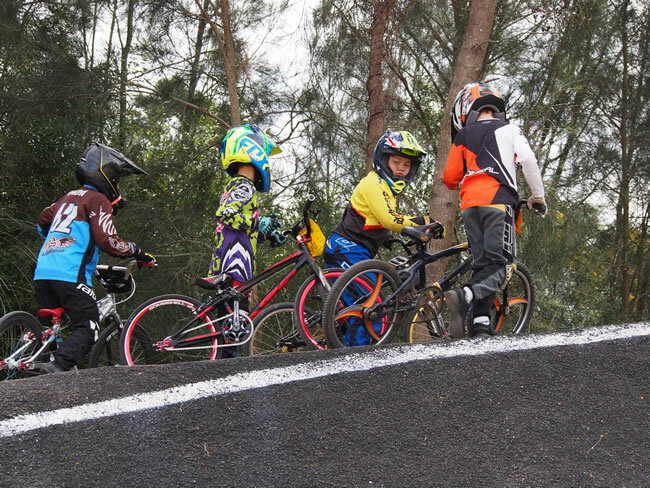 Come and experience the thrill of racing a BMX bike and joing in all the fun! 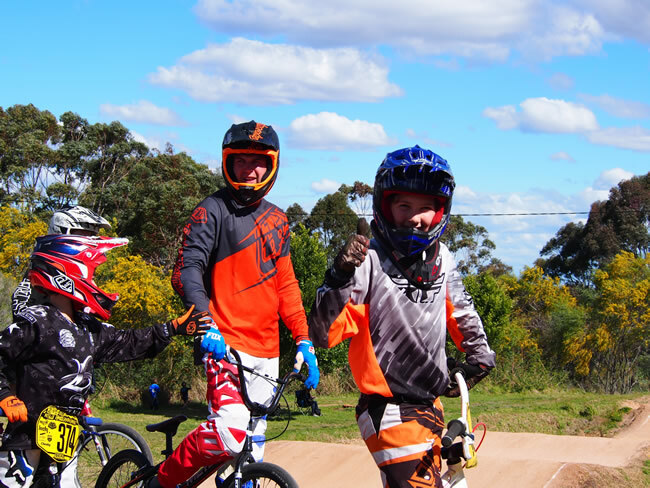 There will be a free BBQ for riders, lessons, pro-riders and demonstrations. 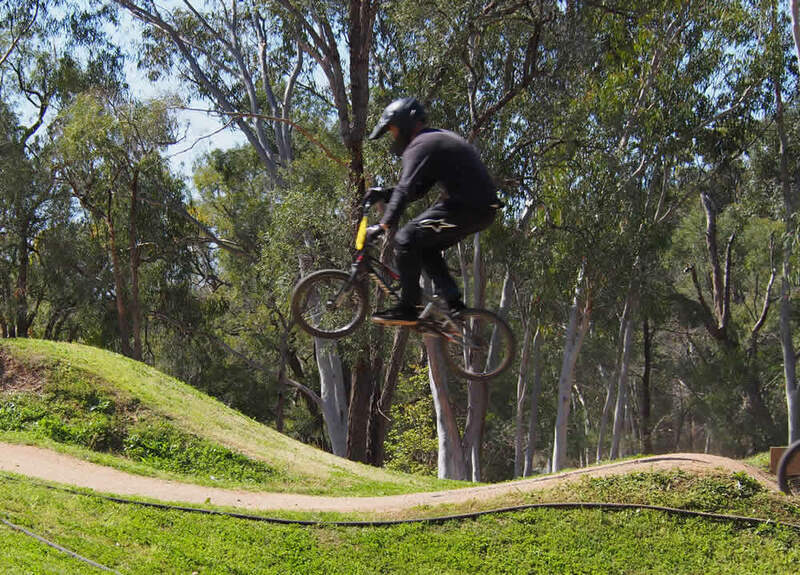 All you need to bring is your bike (any bike will do), closed shoes, long pants, gloves, a long shirt and your helmet. For more information please call Pierre on 0415 320 912 or Karl on 0415 514 699. 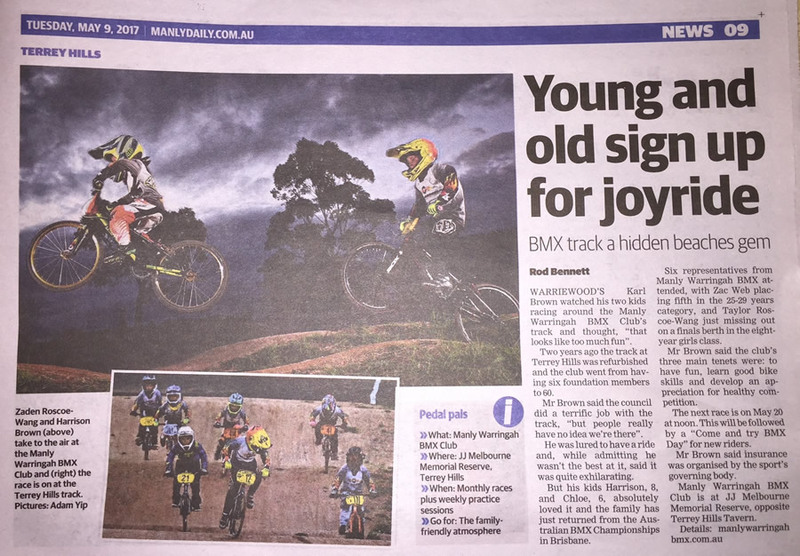 A big thanks to the editors of the Manly Daily for coming out to the track recently and taking some photos of the action at our gates training last Thursday night. 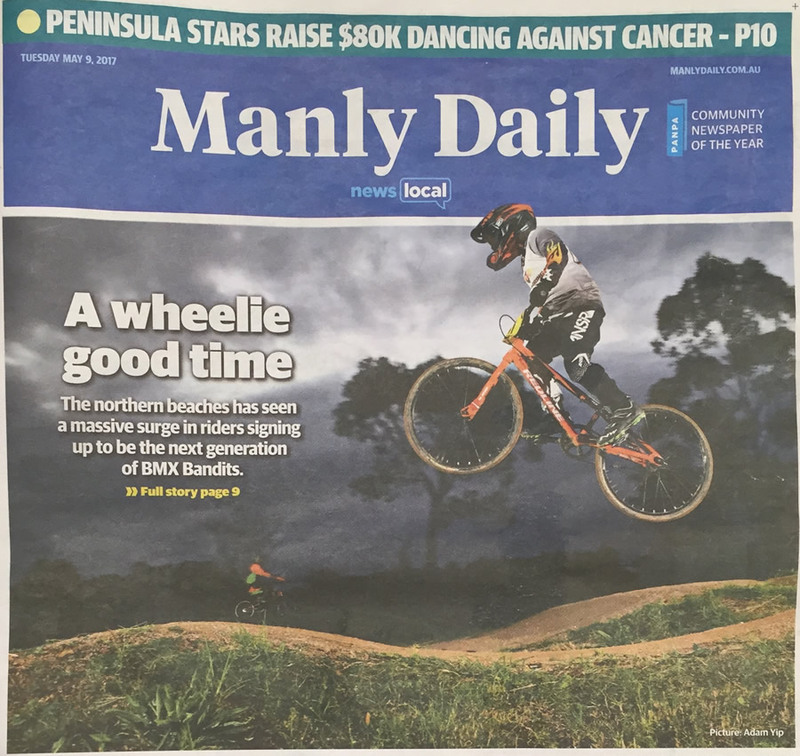 And, congratulations to Byron Best for making the highly prized front cover. 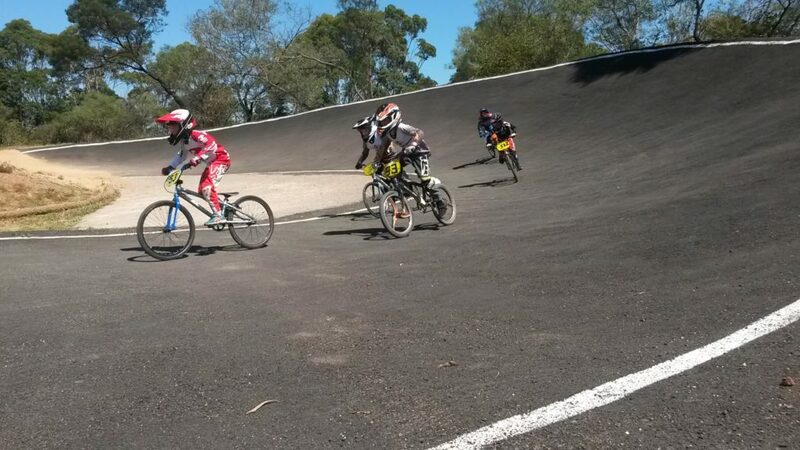 The sun was shining and the track was in good condition for our first club race of the year held yesterday, Saturday the 28th January. 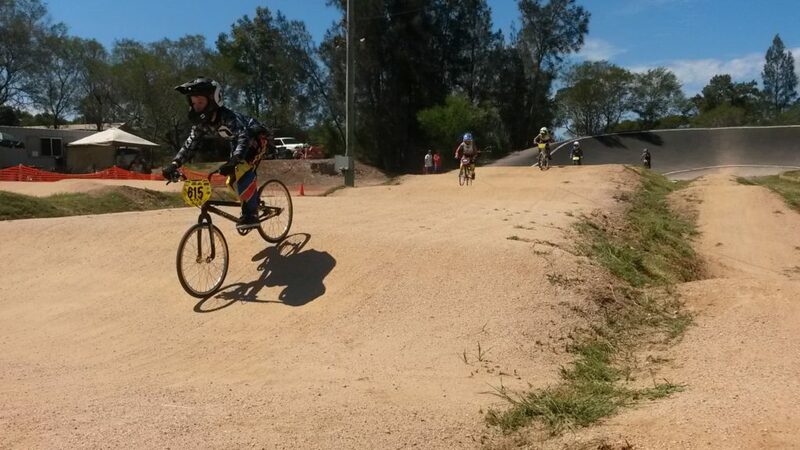 It was pretty warm out there, but everyone had a great time and we had some great racing. 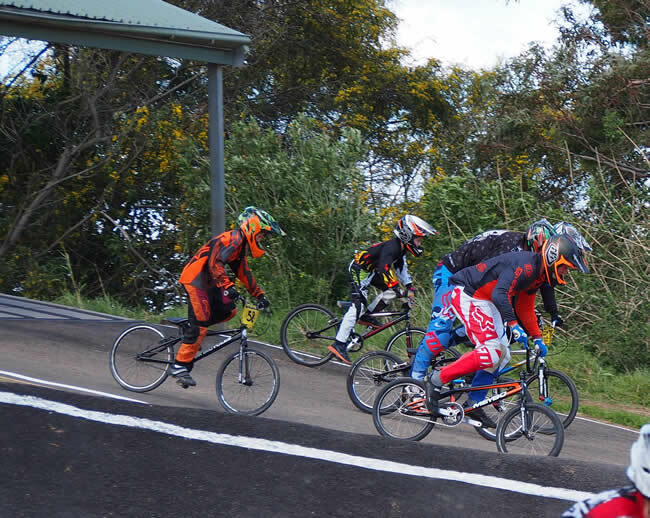 We had a good group of riders, both young and young at heart taking on the track, and each other, and a good contingent of first timers as well. 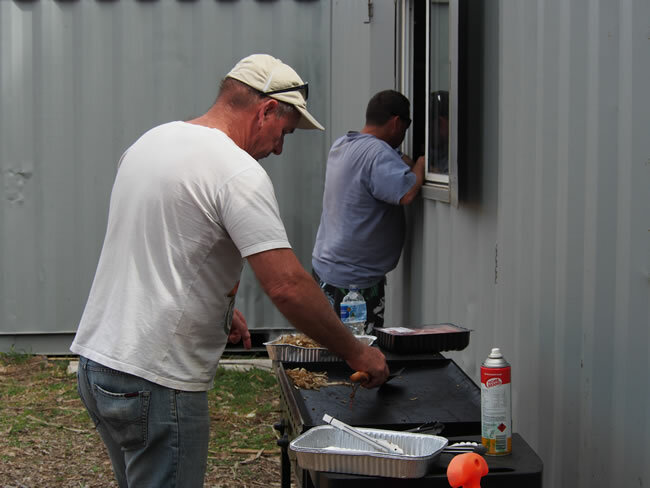 A special thanks goes out to everyone who was able to help out on the day, from helping prepare the track for racing, to manning the BBQ, helping during racing itself and cleaning up afterward. 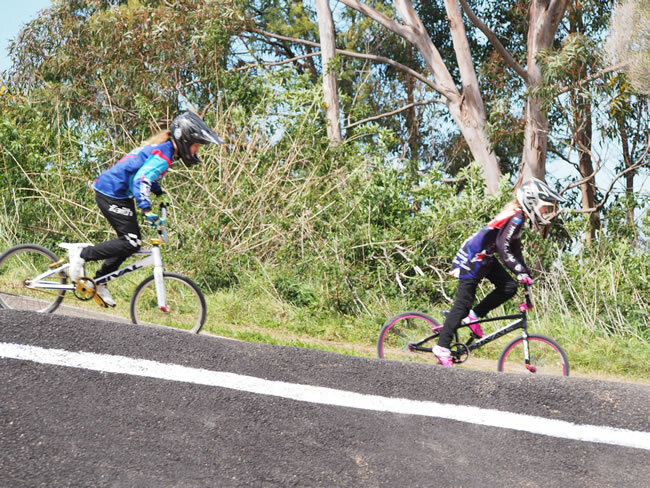 Also a special thanks go to the riders from Sydney BMX Club who made the journey to race at Manly as well. 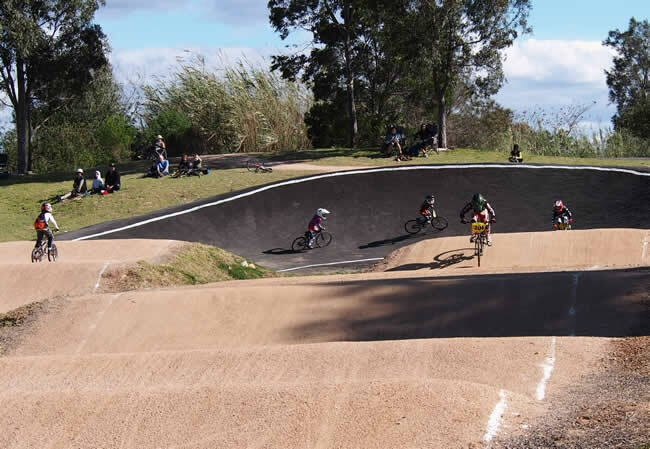 The next club race is on Saturday the 18th February and we look forward to seeing you all there. 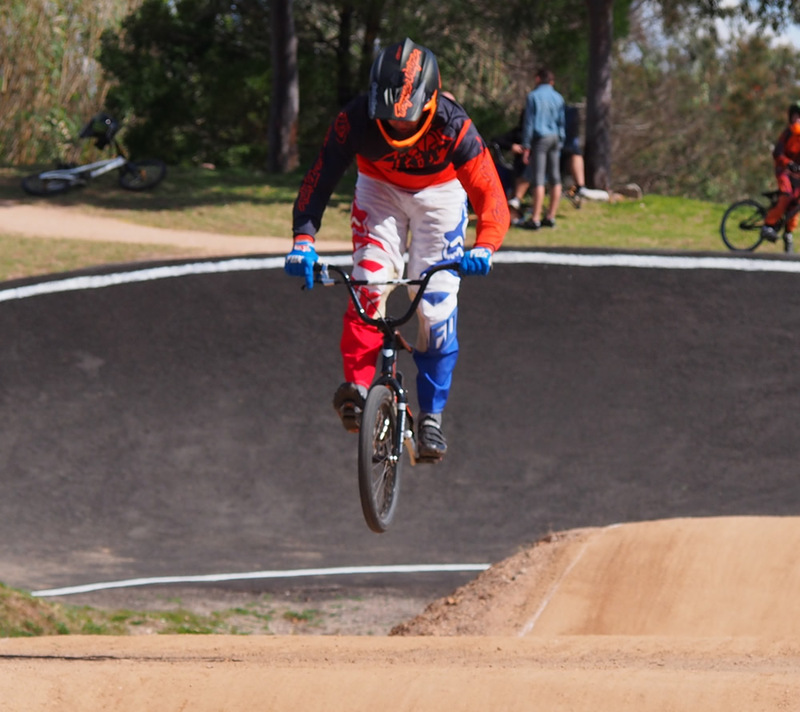 In the meantime, regular Thursday gates nights will be held at the track, and keep an eye on Facebook for other times we’ll be at the track as well. 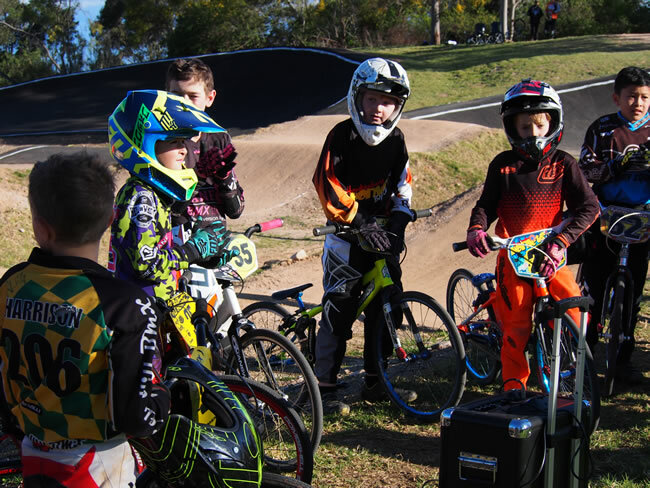 Manly Warringah BMX AGM and Seasons Greetings! A big Thank You to everyone who came at the AGM at the Belrose Hotel on the 16th February. 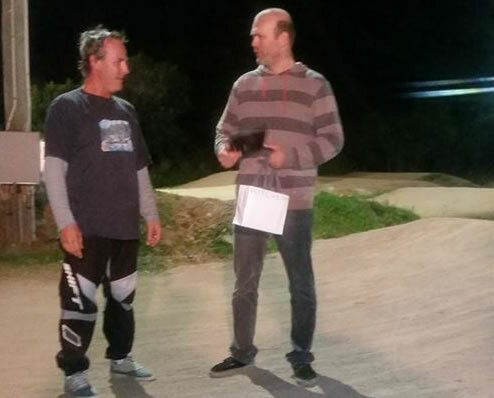 It was the perfect way to finish the year talking all things BMX around a few drinks. Let’s get the admin stuff out of the way though. We now officially have a new Board and Committee for 2017. 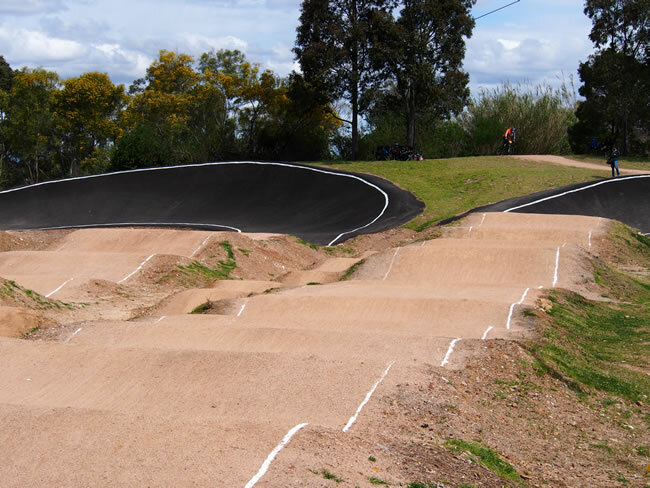 It was also a great opportunity to discuss the future of the club in 2017, including track upgrades, the Open, Clubbies, coaching and plenty more. Everyone had some great ideas to grow the club and make it better, and it would be hard to list them all in here. But with the involvement of everyone on board, 2017 already looks like it’s going to be a lot of fun! There is only one last thing to say, have a great time for Christmas! And see you see next Year ! 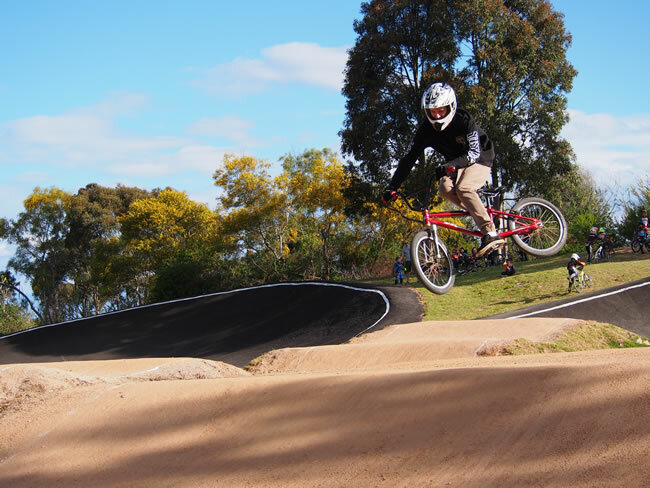 It is with regret that we say goodbye to Ko Wang from the Manly Warringah BMX board. Ko was elected as a committee member at the beginning of 2017 and performed the duties of Track Manager. Ko has worked tirelessly throughout the past year to keep the track maintained and we thank him for his efforts. We hope to see Ko and his kids around at the Open events throughout the season. It’s also a pleasure to welcome Philip Best to the committee. Philip was invited by the Board to join the committee and accepted. Phil brings a great level of enthusiasm and positive energy to the club and we look forward to sharing the club’s successes with him in the future. 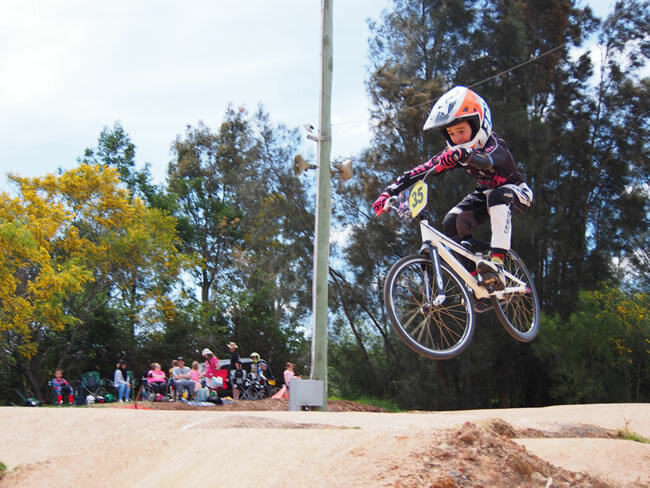 Interclub meet goes off with a bang… Manly Warringah, LMX & Hawkesbury BMX clubs join up for great racing! 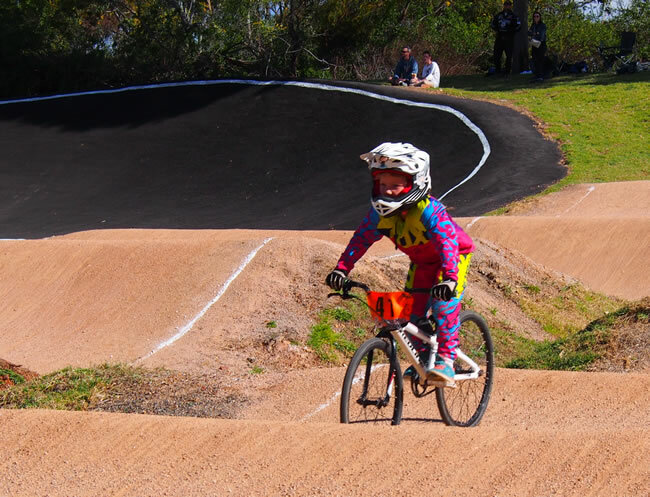 Today was a brilliant start to the HLM Interclub Series at the Manly Warringah BMX track at Terrey Hills. 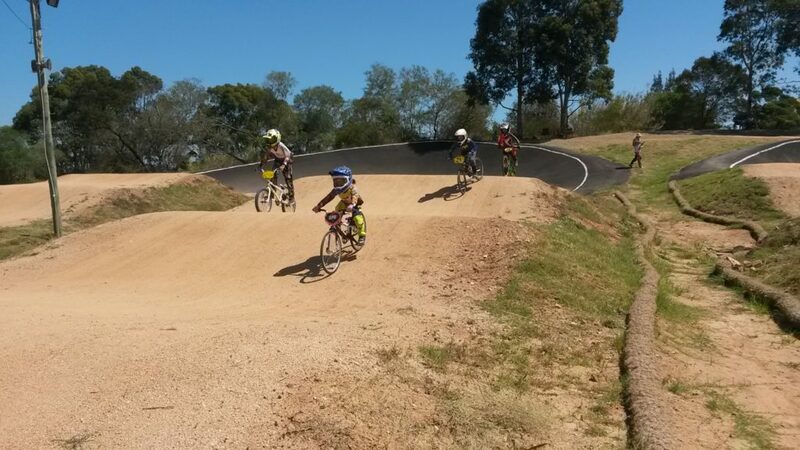 Great racing was had by all and a lot of people got to try out the new track. 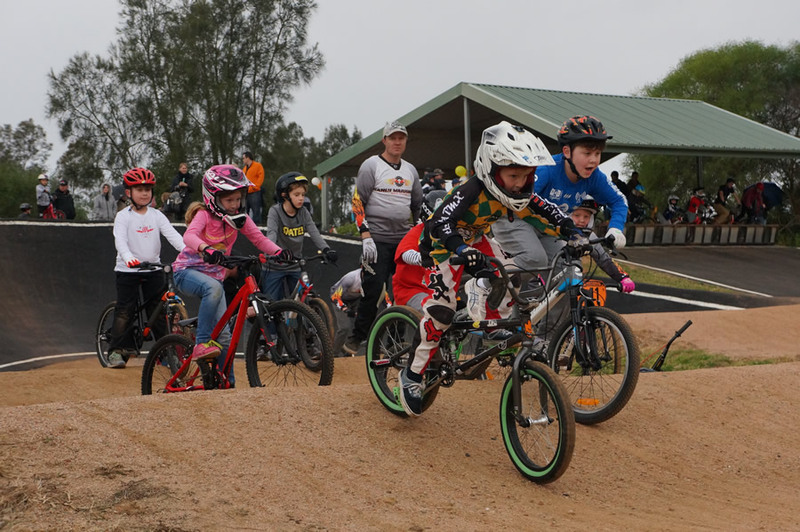 Thanks to to everyone who helped out to make this all happen – we’re really happy to be back in business and look forward to the next club race held at the track in the near future. 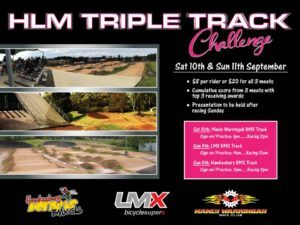 That’s right, racing is back at Manly Warringah with the HLM Triple Track Challenge, a new interclub event for the Sydney region, perfectly timed in the lead-up to the NSW State BMX Championships. 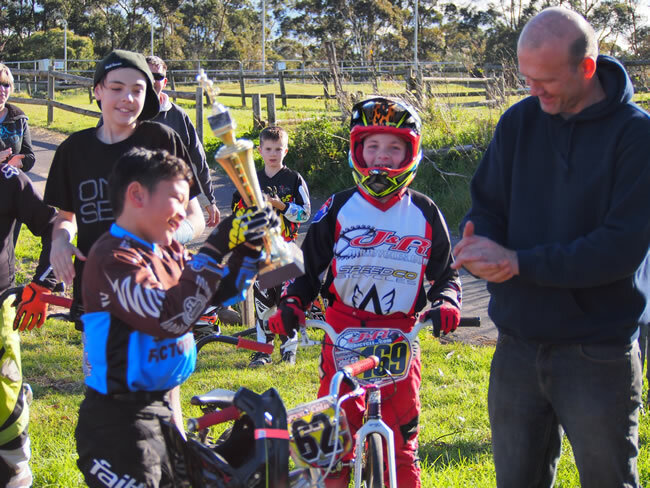 Congratulations Brett Scruse – WORLD CHAMPION and Manly Warringah BMX Club member! 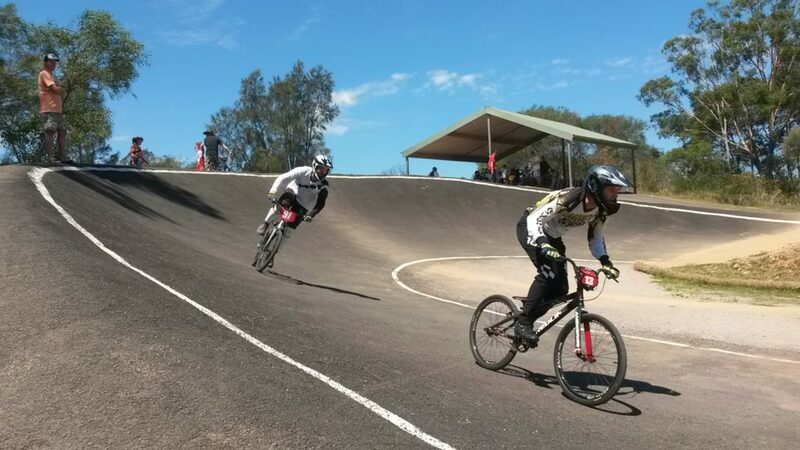 Manly Warringah BMX Club member Brett Scruse represented Australia to win the 45+ mens cruiser class at the UCI BMX World Championships in Columbia in the early hours of the morning on 28th May 2016, Sydney time. All club members wish you a huge congratulations on an amazing career and a job well done – WHAT A LEGEND! Rob Lowe becomes a life member of the club. 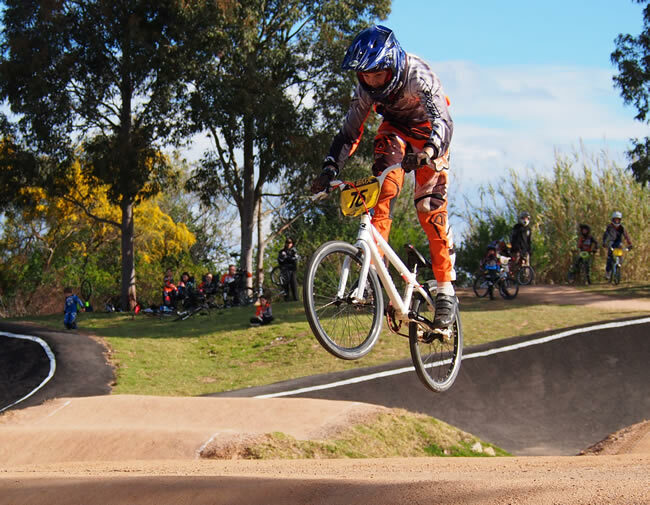 In appreciation of his many years of tireless efforts Manly Warringah president Pierre proudly welcomes the first life member of Manly Warringah BMX Club – Rob Lowe. 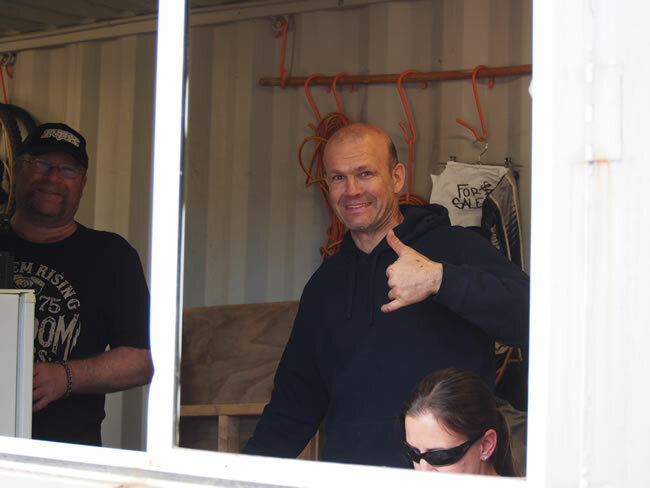 Rob has been instrumental in the running of the club for many, many years and stayed with it through all of the tough times in the past. Without Rob’s selfless efforts we wouldn’t have such an amazing facility to enjoy today.